‘’This is BBC2’’ British Behaviour and Counselling. Disgrace to the Family” (audience laughed). Yashheer studies in London as a teenager and discovers she cant stand the sight of blood and changes her trajectory from the choice of Doctor to ‘’engineer” but then goes into comedy. “My daughter is a clown”! (audience laughter). Yasheer however makes a go if it, manages to follow her inner joy and manifest her latent drive and gets to the semi final in a national talent show on tv. Mothers comment however is about tell me when you get to the finals. No acknowledgement of what she has achieved to get this far, just an expectation she will automatically be in the finals as a function of time – in other words the script is written tell me when it has happened. Not the most helpful way to motivate people – saying this is the course events will take: inform me when they occur! This dismisses discounts and denies the sense of self and agency from the inner person and places the outcome of events in a predetermined story dismissing and discounting our efforts in the assumed outcome. It is similar to the parent who ‘motivates’ the child who has got 2 ‘A’ and a ‘B’ by saying where is the third ‘A’? Often people come to counselling because demands of others to meet their expectations conflict either with what the client feels capable of achieving and more deeply because our need for healthy attachment to others are being conditionally offered only if we meet their needs. The others aspirations – as career for example – and our our caregivers needs may be different yet we as; so as ‘social’ humans need attachments usually to our care givers. As social beings we need to see ourselves reflected in the positive effect we have on others. Where the feedback from others is only conditional from us doing what they want there is potential for inner conflict. Especially when that feedback is used in a way to manipulate to condition so we only get positive feedback when we do what the care giver or any authority we are in attachment with want us to do. Ideally in healthy attachment the care giver or authority figure lets us grow and enjoy our growth in whatever direction we are inclined to and hence a healthy respect for the self and the care attachment figure is cultivated. Essentially a counsellor attaches for the duration of a counselling relationship in this way. The client hence ideally generates more confidence esteem self value self acceptance and all this potentially has ramifications for the structure and quality of the individual and those those whom we are around. Once some form of success is accomplished the mother changes her tune and says she always knew she would turn out this way and she has supported her from the start. A complete set of convenient lies said with blind dishonesty. Mother and daughter have made up and grown up and appear at the end of the snippet together in mutual self – other awareness smiles knowingness and humour. Our parents give us a birthing psychosocially into the world for good bad and indifferent. A counsellor can support the adult to support the ‘inner child’ who had bad indifferent or even good parenting so they can update some of their psycho-social engagements with the world. This maybe in terms of career – as Yasheer, or family relationships of work. Or other issues prescient in someone’s current life. An effective counsellor helps the client to enable them to counsel themselves. It may not all happen one one session or even with one counsellor but effective work something of a seeded new updated outlook which arguably is already within is activated and may come to fruition in a counselling relationship in another counselling, or at some time following a counselling relationship. 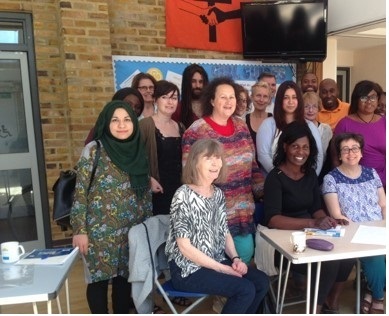 Community counselling is a counselling organisation in East London offering quality counselling at a budget rate. a programme on BBC” which comes on after ordinary programmes have finishes and is like an advertisement for the station. Accessed on 13/04/2019 BBC2.